Church & Villages News, our parish and community magazine covers both Blockley and Bourton-on- the-Hill villages, and the hamlets of Aston Magna, Paxford, Draycott and Dorn. 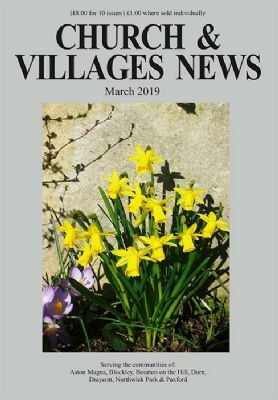 Published ten times a year, Church Villages News keeps all in our benefice community up to date with church details, local news and happenings. To take out a subscription contact Brenda Williams on 01386 700844 or e-mail wessington.w@btinternet. Articles, letters, and photos can be emailed to the Editor.